Joey Hubbard began his percussion studies under David Ellis during his freshman year in high school. After graduating from Bakersfield High School in 2006, he began performing in the drum corps activity. He has spent five summers in the front ensembles of Blue Devils B, Carolina Crown, and Blue Devils A. He has also competed in various winter circuits with the Sacramento Freelancers, Bakersfield College Drumline, and Riverside Community College. 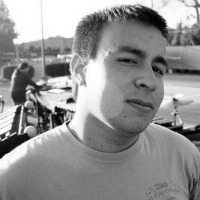 In addition to his performance background, Joey has taught and arranged music for several high schools in the Bakersfield area and is currently the front ensemble instructor for Bakersfield High School and Bakersfield College.